Knowing celebrity haircolorist secrets can allow any hair consumer on a budget to have spectacular hair color without the big price tag. Celebrity haircolorists consist of a very small group of color gurus. Some, but not all, of the very biggest celebrity haircolorists, in no particular order, include Kim Vo, Tracey Cunningham, Marie Robinson, Rita Hazan, Jason Backe, Beth Minardi, George Papanikolas, John Simpson, Jet Rhys, The Doves, Negin Zand and Janine Jarman. One of the very best celebrity haircolorists is Schwarzkopf Professional BLONDME Ambassador, Kim Vo, who is famous for his gorgeous celebrity blondes like Katherine Heigl, Goldie Hawn and Kate Hudson. He’s also the colorist of Khloe Kardashian and Leona Lewis, to name just a few of his famous clients. Vogue Magazine dubbed Kim Vo as the “Best Blonder in the Business.” Although I’ve never had the pleasure of meeting Kim in person, I’ve have a phone interview with him and exchanged messages. He has a whole bag of celebrity haircolorist secrets and he is always willing to share for the sake of great hair color. 1. Apply deep conditioner to the ends of your hair while applying color to the roots and top sections. After the color has processed through the roots and top pull the color down through the ends as a last step before rinsing the color out. 2. If you’re going to do home color between salon visits Kim likes L’Oreal Paris Feria Multi-Facete Shimmering Haircolour. 3. Create your own fabulous post-color conditioner by adding your favorite essential oils to a rich color preserving product. 4. Kim recommends using a shampoo and conditioner specifically formulated for colored hair. Kim recommends Schwarzkopf Professional products or similar. 5. Protect delicate blonde or other colors while out in the sug by wearing a chic scarf or similar head covering. The owner of the eponymous New York Salon is famous for the beautiful hair color of Rachel McAdams, Rachel Weisz, Live Tyler, Heather Graham, Keri Russell and Anne Hathaway. 1. When coloring hair at home always buy two boxes of hair color to achieve the most natural hair color. One box should be for overall color. The second box should be one shade lighter to apply to the hairline to create a natural dimension. 2. Robinson’s drugstore color of choice is Clairol Nice ‘n Easy Color Blend Foam. She believes that it’s very easy to apply with your hands. 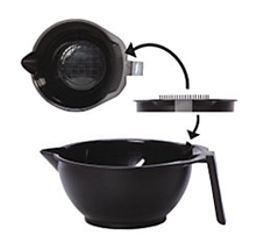 It also provides complete permanent coverage without the mess. 3. The famous New York celebrity haircolorist recommends ColoristCure at-home treatment to moisturize color treated hair and add lots of shine. She also believes it will revive dull blonde or highlighted hair by removing product build-up. It’s easier to list the celebrities who haven’t had their hair color created at the hands of the world famous Rita Hazan. The beautiful New York colorist is behind the stunning blues, pinks and purples of Katy Perry and the stunning hues of Jennifer Lopez. Rita understands that sometimes her clients and hair consumers can’t always make it to her salon. Back in 2004 Rita talked Ashlee Simpson through her at-home color plans where Simpson famously used a drugstore color kit to go raven black. 1. When doing your haircolor at home use Vaseline or lotion to protect you from the color. Apply a thin layer around your hairline and your ears. 2. Rita advises when going darker use a semi-permanent color. To go lighter, use a permanent. 3. Keep your ends trim. If your ends look healthy, your color looks richer and your hair looks shinier. 4. Take hair vitamins to keep hair strong from the inside out. After years of listening to her clients, stylists, the press and beauty experts’ pleas for a better way to make their color-treated hair last longer, Rita invented her Root Concealer which is an aerosol spray to cover gray, and also to conceal roots for brunettes, blondes, and redheads. Who better than some of the top celebrity haircolorists to help you achieve amazing haircolor at home. Although the celebrities with the willingness to spend the most money on their haircolor usually have the most spectacular color, hair consumers can still achieve great hair color for less money. It’s always best to work with your own professional haircolorist to help you achieve a stunning and professional color. However, for in-between trips to the salon and to stretch your haircolor budget take advantage of their wonderful tips. Many people wish to color their hair, but due to the economic climate or other issues can’t visit a professional hair colorist. As a licensed hairstylist I strongly advise that people find a way to utilize the advice of a professional colorist, if nothing else, to help select the appropriate shade, type of formulation and manufacturer. If you can’t afford to hire them to professionally color your hair, ask if they might consider selling you a custom blended color system for use at home under their supervision. When possible, try to achieve professional haircolor at home. Explain your current financial situation to your regular hairdresser. Ask them to help you color at home since you’re unable to do so at the salon. Many hairstylists will offer suggestions on whether to go with a permanent or semi-permanent color, what shades to consider with regard to your base color and your best DIY color options. Feel your hairdresser out before you ask for their advice. Keep in mind that many hairdressers offer professional color services as part of their business so some may resist helping you unless you have a very good reason. Redheads have a long history of being both loved and feared. In ancient Egypt the most powerful witches and sorcerers often had flame hued tresses which made them even more feared. Red hair is sill considered by many in the hair, beauty and fashion world to be powerful. Paul DeArmas, creative director for hair at Fred Segal in Los Angeles has been quoted as saying red hair “is a sensual, rich and mysterious color that says strength.” Indeed, people who wear red tresses are often considered bold, brazen and strong. One of the issues people who want to go red encounter is trying to select the proper tone and shade which complements their eye and skin tone. If you select the right red hair color, your eyes and skin will look amazing. Select the wrong color and it can overpower your eyes and skin tones. There are literally hundreds of different hues in the red hair family ranging from deep dark auburn red on one side of the spectrum to light strawberry blonde on the other end. There are also a wide range of red hues in-between including fire engine red, titian, brick, chestnut, flame, fire, copper, amber, honey, iced tea, ginger, paprika, Merlot, Burgundy, apple and cherry, to name a few of the colors in the red family. Many of the reds merge with neighboring brunette or blonde hues to create a mash-up of red dominant hues. When a new hair trend like dip dying is introduced it only takes a short amount of time before the trend morphs into one or more new directions. Such is the case with chalk dip dying. A version of chalk dying is paint dipping. Before discussing chalk dying hair, it’s helpful to understand basic dip dying. 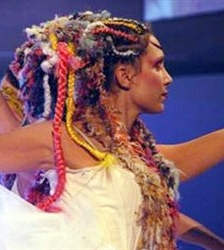 The technique originally was created with temporary, semi, demi or permanent hair color. Dip dying means that the ends of the hair was dipped to create a different color from the roots and middle sections of the hair. The concept of dip dying evolved from other industries such as the fashion world where fashions have been dipped to create unique patterns in the fabrics. The color used for the dipping depended upon the starting based hair color and the desired result. Dip dying hair isn’t complicated, but it did require a few tips and tricks to achieve the best results. Lady Gaga, Katy Perry, Kelly Osbourne, Kate Bosworth, Adam Lambert, Nicki Minaj and Lauren Conrad helped to push dip dying from the celebrity world into the mass market. While true dip dying often involved contrasting colors, Ombre hair color was a distant cousin of the dip dye. Although more people, men and women, are flaunting their grey hair, the majority of people still desire to cover their grey hair with dye or similar products. Grey hair is similar in texture and coarseness to silver and white hair colors. It is famous for being resistant when it’s dyed. Grey, white and silver hair basically has no pigment. As a result, grey hair has a very coarse texture which is tough. Consequently it’s difficult to apply dye to some types of grey hair. One of the biggest challenges of dying grey hair is getting the color to take and last for an extended amount of time. There’s a lot of opinions about whether or not the best practice for dying grey hair is to pre-treat it first. Some professional colorists believe you should pre-treat grey hair to pop open the resistant cuticles and ensure that the dye covers all the target areas most effectively. If Woman Dies From Hair Dye How Will Hair Color Industry Respond? The media is abuzz with the BBC news that a British woman is in a coma after allegedly collapsing after dying her hair with L’Oreal Preference Hair Dye. Physicians believe the woman is experiencing a severe allergic reaction to a chemical in the dye. The hair dye chemical in question is phenylenediamine (PPD). This chemical has been for a long time to be the potential cause of allergic reactions to hair dyes and related beauty products. In fact, one of the reasons experts strongly recommend that consumers do a patch test every single time before applying hair color is to prevent a horrific allergic reaction. Posted in Hair Color | Comments Off on If Woman Dies From Hair Dye How Will Hair Color Industry Respond? In the world of hair color, the color wheel is a major tool helping to develop stunning hair hues. Color wheels are nothing new. They’ve been around for a very long time and used by a wide range of professionals not specifically devoted to hair professionals. 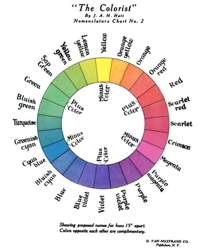 The color wheel shown to the side is titled The Colorist and has been in existence since 1908. It was developed by J. Arthur H. Hatt. According to Wikipedia, a color wheel or color circle is an abstract illustrative organization of color hues around a circle that shows relationships between primary colors, secondary colors, complementary colors and related. Some sources use the terms color wheel and color circle interchangeably; however, one term or the other may be more prevalent in certain fields or certain versions as mentioned above. 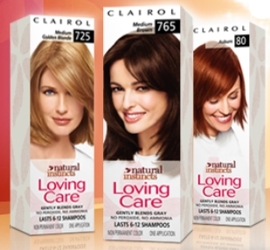 If you’ve been using Clairol Loving Care, it’s been discontinued. I’ve had a lot of emails from people asking me for a comparable product. At this point the common wisdom seems to be to switch to Clairol’s Natural Instincts (the original and neither the Brass Free or Vibrant versions) although many users don’t agree that it’s a reasonable replacement. Why? Clairol Loving Care was popular because it was truly a no ammonia or peroxide color wash. In essence the color was very gentle and would wash out in anywhere from 1-12 shampoos. Although Loving Care was not recommended for use on top of highlighted or bleached hair, it was a wonderful solution for punching up permanent hair color in-between touch-ups or in some cases for covering gray. Coloring your hair should be a fun and exciting experience, whether you do it yourself (DIY) or have your favorite professional hair colorist do it for you. After all, you’re embarking on a new adventure. Whether you’re changing your base color or just adding a few fun highlights and low lights you desired to enjoy your hair color journey. 1. Preventing Reactions – Although rare, professional estimates are that there are two main adverse hair color reactions which occur on every million people (men, women, children) who color their hair, or have it colored by a professional. Even the big guns in the hair color world will have that random client who has a reaction. The good news? There are ways to look out for the potential reactions and cut them off at the pass before they occur. What Part Does Hair Color Play In Your Life? Back in early 2008 the hair color gurus at Clairol shared a very interesting survey. Clairol conducted the survey to determine what perceptions people had regarding certain hair colors. Ever wondered the best hair color for going on a job interview? Or what is considered the sexier hair color? Read on to get the inside scoops. While this survey was first made available in three years ago, many of the survey results are most likely still as relevant as they were back then. Who/what do you look to for inspiration when coloring your hair? Which hair color do people associate most with being serious? Posted in Hair Color | Comments Off on What Part Does Hair Color Play In Your Life?